Hi everyone! 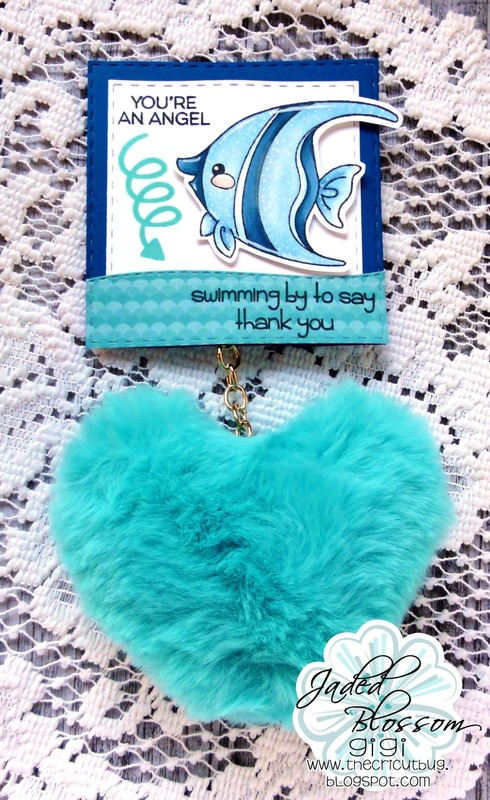 This is GiGi from The Cricut Bug and I am sharing this key chain topper I made using my Jaded Blossom supplies. I started this project with a store bought heart key chain and added mats to the tag using the Stitched Square Dies. I cut the water piece using the Border Dies 2 and stamped the arrow from the Sweet Travels stamp set. I stamped the sentiments and fish from the Make Waves stamp set, coloring the fish with Copic markers.